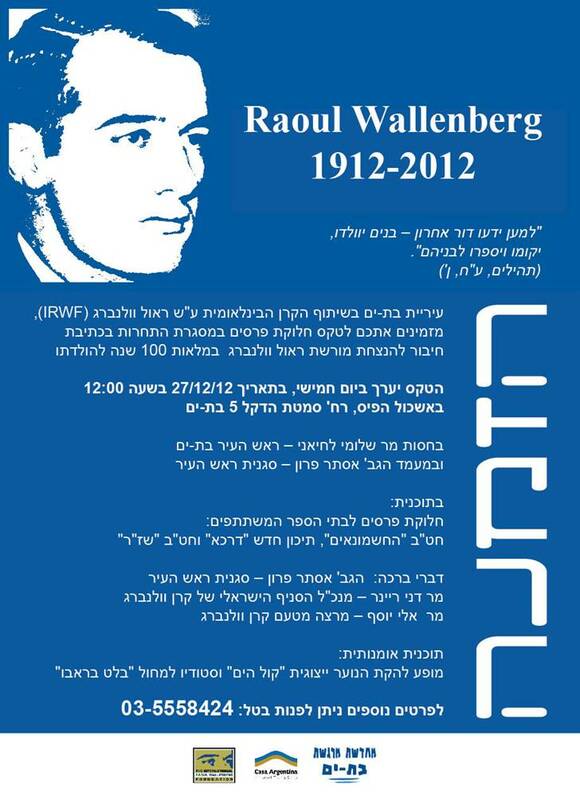 The Municipality of Bat Yam, in co-operation with the International Raoul Wallenberg Foundation (IRWF) are pleased to invite you to a ceremony of bestowal of prizes in the literary contest of composition writings in tribute to the legacy of Raoul Wallenberg, in his centenary. 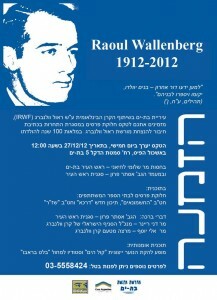 The ceremony will take place on Thursday, December 27, 2012, at 12:00 pm, at the Eshkol Pais, located at 5 Simtat Hadekel, Bat Yam. With the auspices of Mr. Shlomi Lachiani – Mayor of Bat Yam. With the presence of Ms. Ester Peron – Deputy Mayor of Bat Yam. Previous article: Hero or victim?